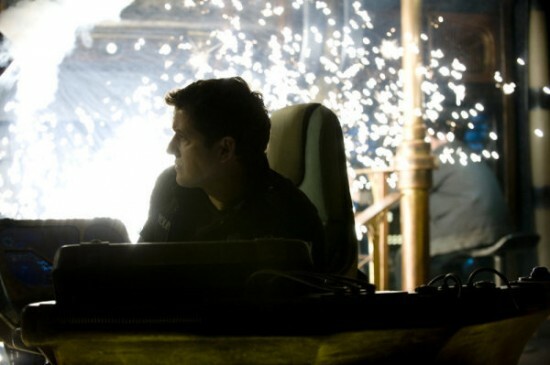 Joseph Mallozzi's Weblog: November 30, 2010: Resurgence airs tonight! The BIG mid-season finale! 9:00 p.m. on SyFy! November 30, 2010: Resurgence airs tonight! The BIG mid-season finale! 9:00 p.m. on SyFy! Anyway, it turns out Volker was misreading the screen and the energy signature was actually their own shuttle, so they all have a laugh and put on a talent shows that sees Eli and Brody team up for a high-steppin’ medley of Gilbert and Sullivan favorites. You’re gonna love it! In addition to a few surprises. The events of tonight’s episode will have significant and shocking repercussions that will reverberate through the rest of season 2 and beyond. Brought Jelly in to see the neurologist today. She has an appointment to get an MRI tomorrow. Have finally narrowed down my list for the “I Make the Best Whatever…” contest. The elite eight will be announced as part of tomorrow’s blog entry. Previous Article November 29, 2010: My Snow Monkeys in trouble! Production update! News of note! Next Article December 1, 2010: If next Wednesday is going to be like this Wednesday, I’d rather just skip it. Gah! I have to wait till Friday! Joe’s go the snow machine on…I want bubbles! Can’t wait to see this tonight. I’m Loving Universe more than I ever thought I would. I was wondering if there is an Official order to the Address to Destiny from Earth. I know there is an address published in the Wiki but we only know the 1st 7th and 9th symbols in order. I was wondering if you guys have the full address in the proper order written somewhere for a future episode or something. Please don’t be offended by this, but good ol’ mutts have a lot less health problems than dogs bred purely for appearance. dogs are awesome, dogs are true companions and friends, and all dogs have medical issues, but I’ve never had a single mutt in my life ever have a hip problem, or any neurological issues, or anything you detail in the blog here. Clearly you love your pets, and they’re getting the best treatment they can, thanks to you. I applaud this. Clearly your pets are very dear to you, which, in my mind, would make their maladies that much more painful to you, emotionally. It may be a little less heartbreak for you in the future if you pick up a plain old mutt from the pound, rather than going for a dog bred to have a particular shape or weight or size or .. whatever. I’m not saying that your preference for pugs is misplaced or anything, almost all pure breeds have plentiful breed-specific, age-related issues; I’m not slighting any breed here, or favoring one over another. However, there are lots of healthy mutts sitting the pound, lonely for companionship. Dogs who will (if they can escape the culling) live very long lives and provide real companionship for well over a decade to anyone who will treat them well. I guess I’m asking you to try a mutt on for size, if you ever adopt another canine into your family. In my experience, they’re great dogs and far too many die because people demand pure bred dogs that are bred purely as a source of income and who will have severe medical issues early-on due to their bloodline. When is the show picking up again on SyFy? Anyone know? These mid season breaks are killing me. Just show one episode every 3 weeks, continuously, instead. It must be winter – it’s snowing again on your blog. You are so darn lucky mister!! Rudoph the Red-Nosed Reindeer is on CBS tonight. The one with Burl Ives made in 1964 (I think). My most favorite Christmas show EVEEER. Luckily for you it is on the hour before SGU, so I won’t have to choose between the two, as I will have to watch Rudoph for the 136th time! TJ and Varro! YES! Though it will probably tick off Col. Young in a big way. No, I will not read any reviews, non-spoilery or not. But I will watch the episode when I get back from class. I had considered skipping it and just watching it when the next half of the season starts since cliff-hangers drive me nuts, but now you’ve got me intrigued. Dammit. Varros back! It’s like everyone but you forgot about him Joe as he’s been super quiet the past half dozen eps. Destiny by the bottom pic looks like it’s in the wrong place at the wrong time. Best of luck to Jelly with her MRI tommorow. Resurgence is on at 9pm here on syfy in Fl, that first article said 8p, not sure if that was a misprint, or that is the time wherever that is at. What ever it is, I am ready to see it, the previews look fantastic! Thanks for the pictures and previews Joe. — and dangit, its sno*, on the blog, hah. hope we don’t see it, although a cold spell is coming tomorrow for a few days. Covering my broccoli and tomatoes for sure. Hope there is good news for Jelly baby. thinking about her, positive thoughts!! Bring on the episode,popcorn and tv trays in their full upright position. Only 45 minutes until it airs here and I cannot wait. So you have both dentist tomorrow and MRI for Jelly or did you wind up having to cancel the dentist appointment? Love the picture of TJ and Varro….Be still my heart. These Syfy trailers make the show look incredibly dull in my opinion, even the action trailer is very underwhelming. jeremiah: I agree, pound pets are great but …I wouldn’t say being a mutt makes them immune to problems (I wish it did). Also, most people don’t know this but you can get purebred animals from the pound. I volunteer at our local humane society and just last week an Akita came in. We’ve had pugs, chows, labs, dachshunds, Chihuahua, Irish setters and those are just the ones I have personally seen. I would like to see more mandatory spay/neuter laws. There is just too much overcrowding at shelters! Great lines in tonight’s show! What is with MingNa? She looks way too young! Wow!!! That last act left me asking “what the…?”. First: Good luck to Jelly! Lots of hugs and good thoughts to her, you and the rest of the pack! Second: I’m not done watching tonight’s SGU and I had to pipe up. Lots of great lines, awesome pacing, drame and visual effects. Thank you and I’m so wishing this wasn’t the mid-season finale. Don’t think I can wait to see the rest. And like I said, I’m not even done watching! Did I just hear an unbleeped word when Eli found his error? ARGGGG! I hate waiting until April….. Thank you so much for making a great TV show. 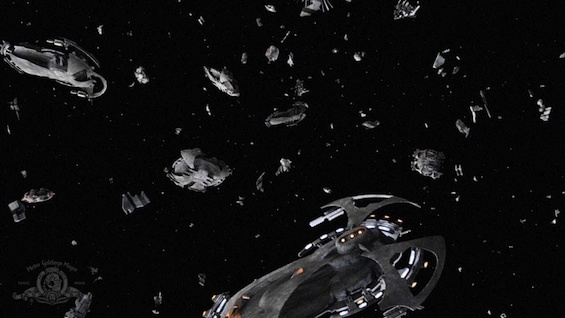 I have enjoyed the first half of this season more than any new scifi since the end of SG-1. I had my problems with the first season, but watching the show through to this point has really paid off. I think if I were to rewatch season one I would have a new appriciation for the character building y’all did. 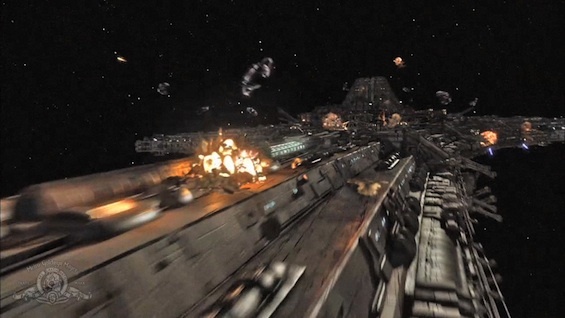 All the SGU haters really have nothing to complain about now. I can’t wait to see what is in store for the second half of this season and beyond. Bravo sir. Continue to make your magic. Firstly, that was NO hour. What a fantastic episode! Flew by in no time, and had me on the edge of my seat. Some funny lines – me likie. Secondly, you guys are SO mean leaving us hanging like that! Thanks, Joey – kudos all around for the best ten episodes of this show so far. Hope to see more! WELL DONE CAST AND CREW!!!!!!!!! Can’t wait to see the conclusion. Resurgence had a pretty good cliffhanger ending, when comparing to Season 1s, this Season has a more I’ll see you in x amount of months mwahahaha ending. Where as Season 1 had a. Well Okay see you soon ending, to which you would reply goodbye, been fun and see you later kinda thing. Another way to compare is. Season 1 had a midseason cliffhanger that was like saying goodbye to a friend for a half dozen months. Season 2 had a midseason cliffhanger that’s like saying goodbye to someone you really care about, like family. Well that’s my take on it. Great way to end the midseason! If Syfy doesn’t renew the show, they’re idiots. @Tammy Dixon: I agree with you totally. Elway’s a mutt and lookit what I’m dealing with! Not only the epilepsy, but the hips are a mess as well. I’ve had purebreds that never had a problem, too. Joe, we have to wait until April? Really? Why do they do this? I hated tonight’s ending knowing it’ll be so long before the show’s back on. Pie! Great line! There was a lot of humor in the lines tonight – just fabulous!